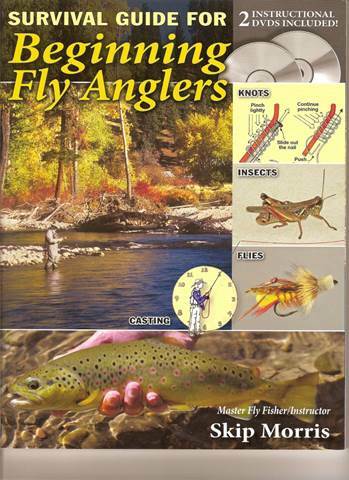 This is not a new book but I recently received it in a package of books from Amato Publications and after I read through it I decided it would be a great book to show our readers that may have a family member or a friend that wants to learn the basics of fly fishing. If you have ever dreaded the thought of trying to teach a spouse or significant other how to use a fly rod this is a perfect book for just that purpose. Lavishly illustrated with colored pictures and excellent drawings this book covers the basics of fly fishing as well as any other book that I have ever read. It contains two DVD's that provide even additional instruction for the beginning fly fisher. If you have someone that fits the description of a new fly angler or even someone that is not so new but could use some help with the basics, get this book. Publisher: Frank Amato Publications, Inc.